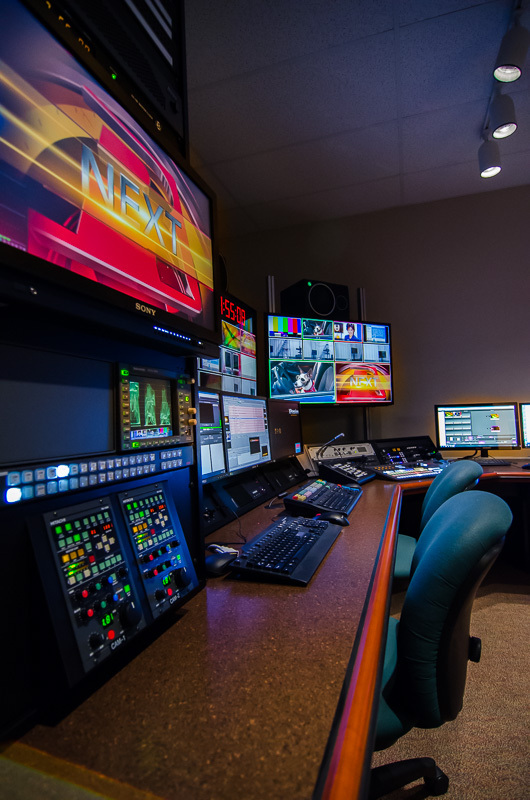 Thurston Community Television chose Utter Associates to provide Design and Integration services for an upgrade to their Studio and Control Room. Thurston Community Television (TCTV) is a membership organization open to all residents of Thurston County and provides public, educational, and government access television from the facility in Olympia, WA. TCTV selected Utter Associates to provide Consulting, Design, and Integration services as part of a major upgrade to their facilities. PEG channels typically have a funding cycle for major upgrades of ten to fifteen years so selecting equipment that could be upgraded and serviceable for the duration was critical. Another important consideration for this project was the ease of use for the members of this organization. Members have full use of the studio and control room and are trained by the staff at TCTV. The Ross Carbonite switcher and Xpression 3D HD Motion Graphics system was selected for performance and reliability as well as for the training and support provided. The remodeled studio is equipped with two new SMPTE Fiber Studio Cameras, two PTZ Studio Cameras and features a new high-definition projection system for training and community events.